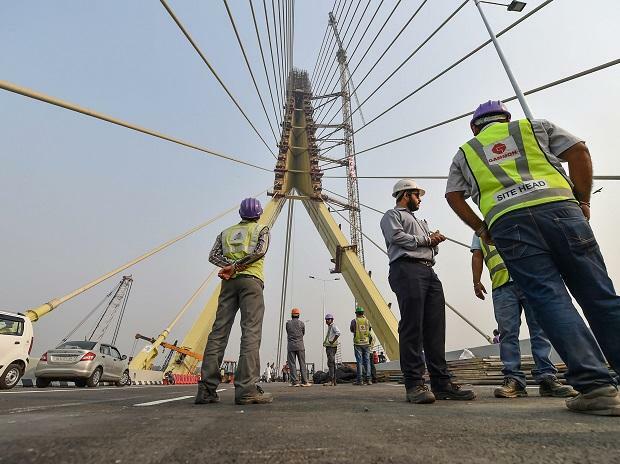 Delhi's long-awaited Signature Bridge will open for the public on November 4. The project aims to reduce travel time and traffic congestion between the north-eastern and northern parts of the national capital. The bridge, built over the Yamuna River, will be the first asymmetrical cable-stayed bridge in India. The bridge also includes a glass-steel observation deck at the top of the bride, although it will not be available for public use for at least another three months, according to media reports. The deck offers a panoramic view of the city. The project was announced in 2004, although a number of delays and budget modifications led to the project being delayed several times. The 575-metre bride will be inaugurated by Chief Minister Arvind Kejriwal on November 4, following which, it will be open for public use.